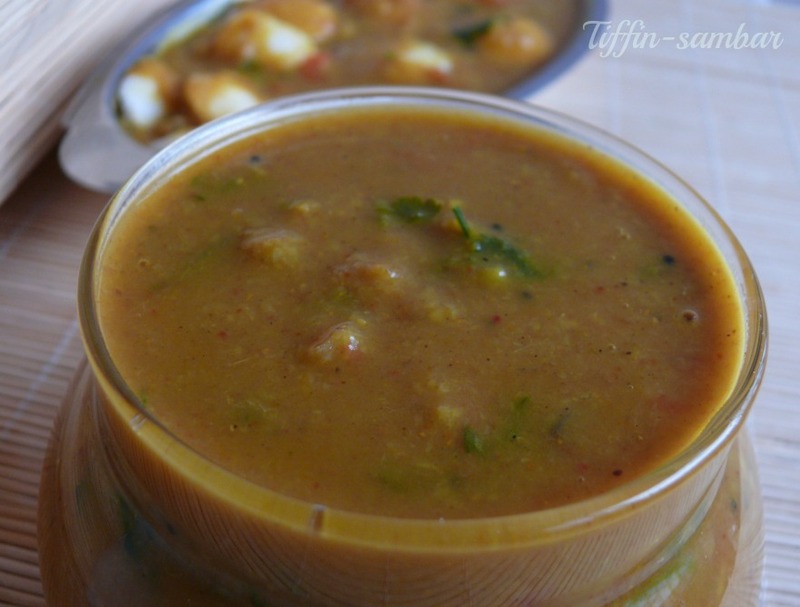 Tiffin sambar recipe is a very common and important side dish in every household.It is a trademark south Indian side dish which every home has and we people are totally obsessed towards it.Tiffin Sambar is done in variety of methods and I too have my own method and it tastes delicious ,am not telling this my family says it.my husband use to clean the last drop of sambar left in his plate. 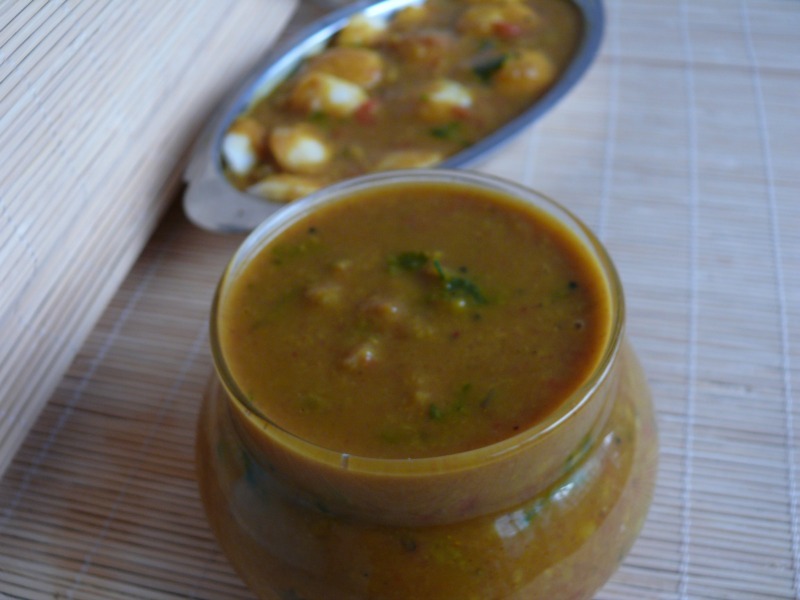 Usually for tiffin sambar no tamarind is added and it tastes just like hotel sambar and am sure about that.If you follow my method you will be surely successful and every body is sure to appreciate you.For mini idli’s serve it with another 1/2 teaspoon of ghee and hot sambar poured over it. As everybody knows this tiffin sambar recipe is a regular side dish for dosa,idli,miniidli and even for hot paniyaram’s.I have my own homemade sambar powder and I use only that podi for making this sambar.so when you are using different sambarpodi it taste differs as the quantity and combination differs.I have tried variety of tiffin sambar recipes from books,tv and other sources but this tiffin sambar is the one that every body likes in my family.When it comes to tomatoes I use Bangalore tomatoes as it is less tangy.If you like my instruction and recipe, please do follow the same for good results.